This area has several sub areas. Let’s have a look at them one by one. At this page you’ll see all full application forms submitted on your site. Use “Next” and “Previous” buttons to surf through them. “Print” button is used to manually print the form. “Delete” button allows you to remove the application form from the database. “Export to CSV” button exports application form into MS Excel format document and saves the file on your local computer. 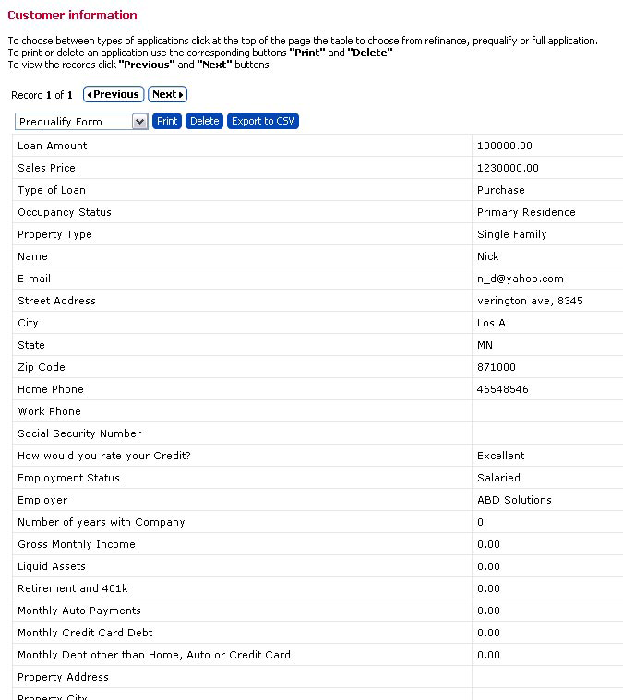 “Export to Calyx Point” and “Export to Fannie Mae” buttons export chosen application form to the LOS. Short form is equal to refinance form. You can print, remove or export to CSV format any Refinance form you have. On “Prequalify letter” page you’ll find all prequalification forms submitted on your site. You can print, remove or export to CSV format any document there. Here you can find information about all registered site members and email them immediately. 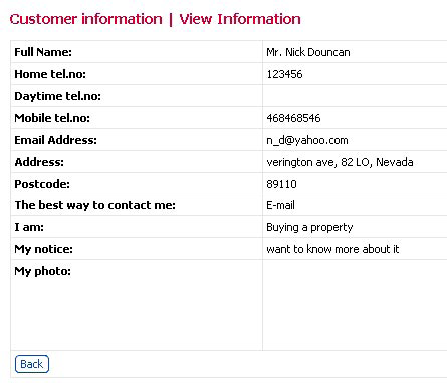 Quick status shows member name, email and phone number. When you enter the member name you’ll get all information he/she submitted on the site.